This is a treat you can actually feel good about eating! In the last few years, there have been a lot of diet ice creams introduced to the market. In that time, I tried my fare share of expensive portion controlled and "skinny" frozen treats. 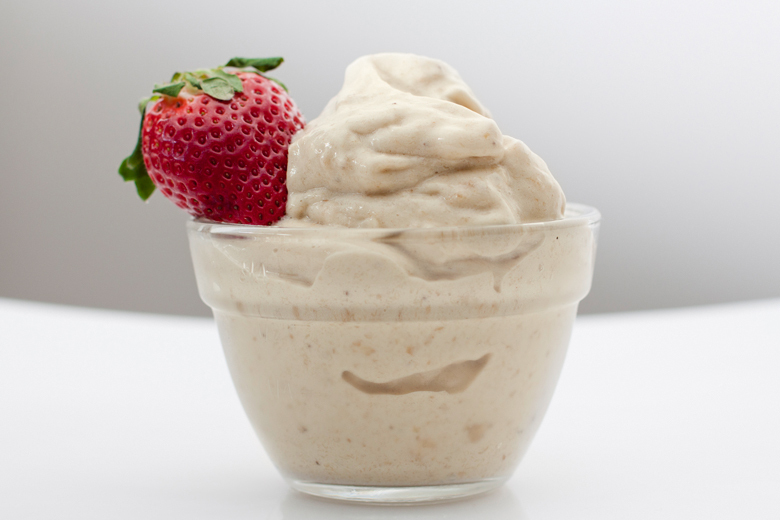 Discovering this recipe, I was astonished at how simple making healthy ice cream was. It is vegan, lactose intolerant, paleo, celiac, and weight watchers friendly. Simply, because it is made from just one ingredient, bananas. Shockingly, it taste like delicious full fat ice cream. It has totally revolutionized my entire thought process on ice cream. But how come no one knows about this?! Why is this such a big secret? Did the diary industry bribe the government to keep it from the public? Anyways, before CSIS and the FBA shut my site down, I highly recommend you try this recipe. Slice bananas as thin as you can, and put small portions (1-2 bananas into zip lock bags). Put frozen portions into food processor. Also, I just have to have to show off my new camera the Fuji X100. As mentioned in my previous street photography post, I am love with this camera's full manual shooting options. The picture of the spoon above was captured with the X100. Pretty amazing DOF for a point and shoot. I discovered banana ice cream here.